The PortM8 is a black box instrument designed around the same 'winstrument' specification as used in the popular Ohmex range of portable instruments, this design criteria specifies that all display and interactive communications with the instrument use Bluetooth radio technology to communicate with a PC or PDA device. Through extensive experience of tide gauge installation and manufacture the PortM8 design is modular with separate transducers, radios, gauge, display and power supply units. This modular design enables the user to configure every combination from a simple gauge to a remote display using radio telemetry communications. 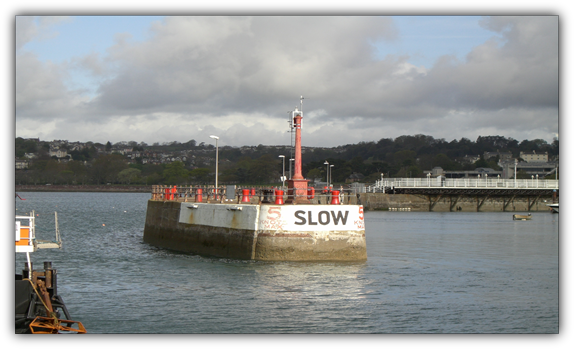 The PortM8 is designed primarily as a simple to install tide level monitoring system, for use by port and harbour authorities both large and small. The device can be used in systems ranging from a simple recording gauge with a PC display through to a sophisticated multiple gauge and environmental data system using the network based EDAS software. The PortM8 is supplied with a 1 bar unvented pressure sensor transducer with integrated water temperature measurement. The stainless steel sensor which is dynamically adjusted for variations in air pressure using the integrated PortM8 barometric sensor. By not having a vent tube within the sensor cable makes the transducer connection a simple electrical cable which can be extended up to 50m and easily routed for site installation. Sophisticated internal power switching enable the PortM8 to be configured as a remote tide gauge using solar cells for power supply, the switched power can also be routed through the radio modem as an additional power saving feature. The PortM8 power supply will accept 10-30 vDC or 90 to 300 vAC using the mains adaptor provided.The regulator unit is protected against short circuit in cables by a resettable thermal fuse. The PortM8 includes a connector to an optional solid state weather sensor to include environmental data such as barometer, wind speed/direction, air temperature, relative humidity and rainfall. The weather sensor is designed to be precalibrated and easily exchanged rather than a costly removal, calibration then replacement sequence.